Do you feel as though your dreams are so far away that you'll never achieve them? Do you feel as though you're spending your life in the one spot, never really moving forward, never getting any closer to what you want or who you want to be? 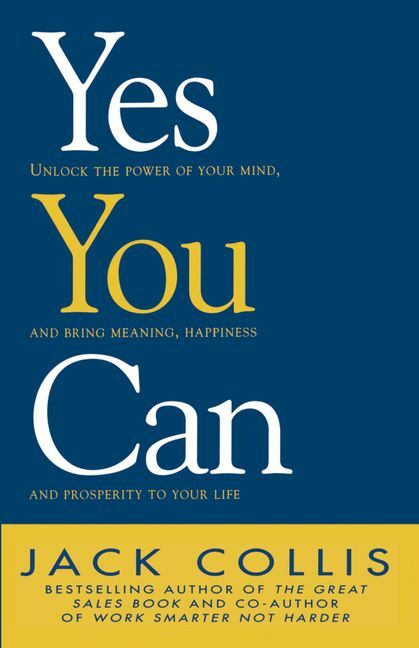 If the answer is yes, this book is for you.In this revised edition of Yes You Can, bestselling author Jack Collis shows you how to harness the power of your mind to achieve your goals. Based on the premise that success comes from changing a 'can't do' mental attitude to a 'Yes You Can' way of thinking, this book guides you through the process of identifying your goals and planning your time effectively to achieve them. Packed with inspirational advice, visualisation exercises, affirmations and tips for success from people who have achieved their dreams with the help of Jack Collis, Yes You Can will show you how to get the most our of every moment and whatever you want out of life.As you imagine, so you become. Unlock the power of your mind and bring meaning, happiness and prosperity to your life and achieve your goals. Jack Collis, a former International Marketing Manager for AMP, is a successful speaker, author and business consultant. He has developed and published specialist training programs for leading organizations, and is the author of several best-selling books including Yes You Can and Work Smarter. Not Harder. He lives in Sydney.